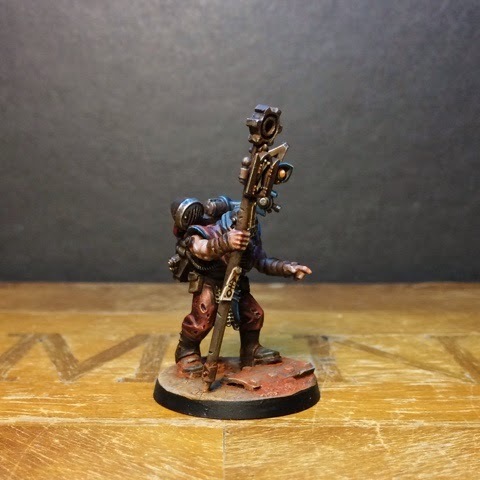 A lone machine cultist stalks the radiated wastelands of the long abandoned forgewold Rossum Secundus. 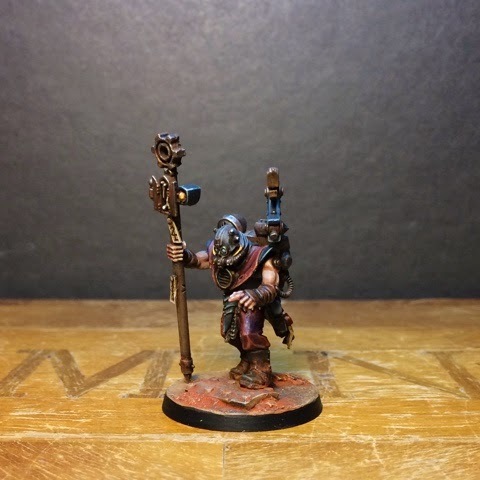 This wandering minister preaches the gospel of the Omnissiah and the promise of salvation from the bonds of flesh to the few scattered tek-tribes living out their short lives in the shadow of rusting cyclopean machinery. Thanks! 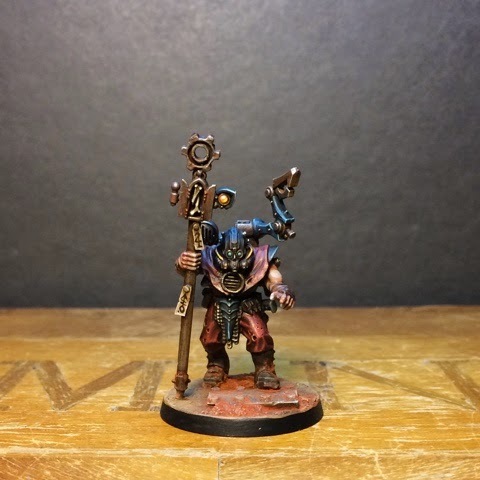 After seeing Mr Blanche's Ogryn on Iron Sleet and now this beauty, I'm thinking in need to get some of these dark, earthy reds into my work. Great output these days Jeff! 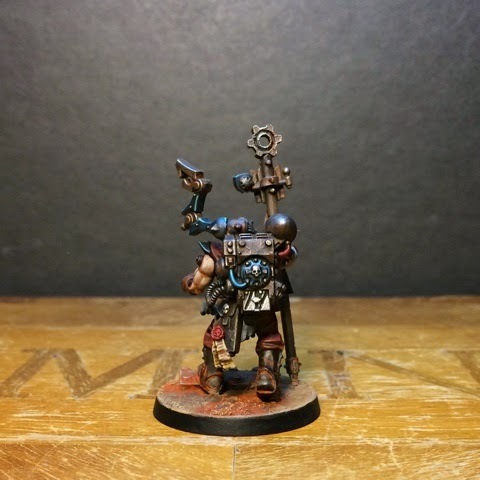 What exactly are you planning with the admech, just various miniatures for the fun of it? Cool - your turnover is just crazy. Loved you entry in that invitational as well. Gritty yet colourful! Amazing work, Jeff. Wonderful work! 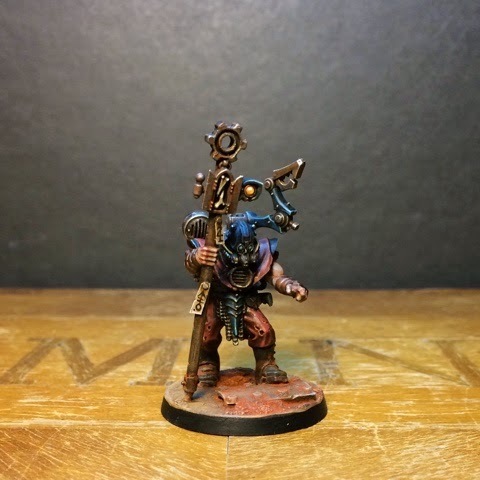 That has to be one of my favourite heads from the new kits, and the paintjob is lovely, as usual: He looks like he has cobbled together a religion from parts of the Imperial Creed and Machine Cult. The base is just sublime! A lovely model indeed. Cool story too. Might I be so bold as to suggest adding some wounds/lesions to him exposed arms? Something to really push home the dangers of the irradiated wastes? You may. Not a bad idea at all - he might be a bit too healthy looking now that you mentioned it. Awesome figure! My favourite so far this year. The base really suits the figure, you just need some tek tribesmen now. Love this model, what kits did you get the body, legs, and arms from if you don't mind me asking?